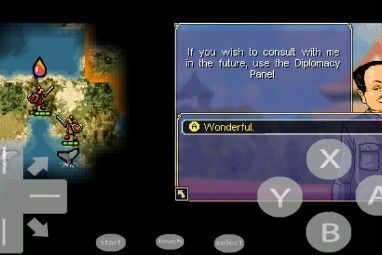 Gaming for Windows Phone is an interesting experience. While there are a whole host of great independent titles that don’t have Xbox Live integration, those that do are the ones that tend to be the most popular – for obvious reasons. After all, the ability to top up your Gamerscore while sitting on a train or plane is pretty compelling! One game that remains fascinating despite the lack of Xbox Live integration, however, is Armed!, a sci-fi themed RTS with three modes of play and an armada of futuristic weaponry. Armed! is one of the most popular games for Windows Phone, but the question is: why? How can a game that doesn’t offer the sought after Xbox Live features be so popular? 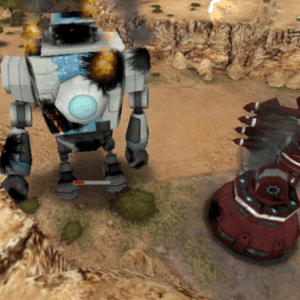 RTS games are typically turn-based, and Armed is no different. You start with a small budget and some low-grade weapons, and the aim of the game is to build, expand and conquer the enemy who is typically pitted with you at the other side of the map. With a massive 50 upgrades and attacks that can be used as tactical advantages and 12 unit types to command, the real fun with Armed! 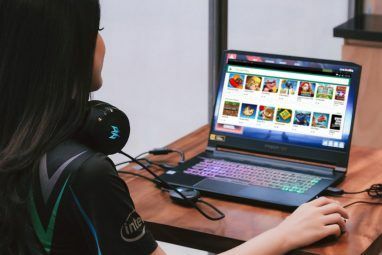 is that it offers online game play against other opponents situated around the world as well as a correspondence/delayed multiplayer experience and the standard single-player-vs-AI experience. Could it be that the success of this RTS is down to the slow pace of Xbox Live multiplayer development on Windows Phone? Whether you’re an experienced RTS gamer or Armed! is new to you, don’t worry, there are options for everyone. 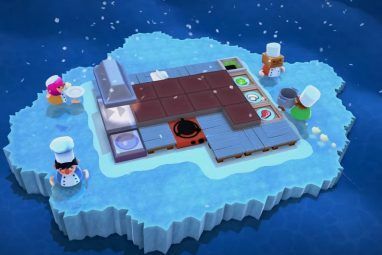 When the game is first launched, you’ll see the Quick Start option, while Single Player games and Multiplayer games can be set up by sliding left. The System menu provides full control over the volume, speed and whether notifications are displayed (you’ll need these for correspondence multiplayer games). In the Quick Start section two options, New Match and Tutorial, can be chosen, offering the opportunity to either go leaping into combat straight away or following the tutorial to get a hang of things. Once in the game, the pinch gesture allows you to zoom in and out while a single finger can be used to navigate the in-game world. Static hardware (power stations, turrets, factories) can be selected with a single tap, while mobile hardware is only available after building a factory. The aim of capturing the enemy base can be achieved, but the restrictions of the maps – for instance, a river running through the middle, separating each faction by just a couple of bridges – means that you need to think strategically. Understanding the landscape and the need for survival – as well as that you and the enemy are evenly matched – is the key, much like playing a game of chess. Is Armed! Really that Good? While developers hurried to add titles to the Windows Phone Marketplace (making it the fastest platform to reach 10,000 apps early in 2011), Windows Phone 7 isn’t really seen as a gaming device, despite the presence of the best Xbox Live integration you’ll find outside of an Xbox 360 device. Fortunately more and more games are hitting the platform, but typically for what is considered a narrow genre, few of these are real time strategy games. The only thing that comes close is the Xbox Live-enabled Fusion: Sentient, which is a very good alternative that links up with the parent title Fusion: Genesis enabling you to swap Sentients between the games. Despite the lack of Xbox Live integration, Armed! is easily one of the best games available on Windows Phone. Developed by Sickhead Games and available for $2.99 or £2.29 in the UK, Armed! should feature on every list of the top Windows Phone games. A version is being prepared for the Windows 8 platform, which will be the first step to multi-platform multiplay. You can find out more at www.armedgame.com, while the title is listed in the Windows Phone Marketplace, available through your phone and through the web. Explore more about: Mobile Gaming, Multiplayer Games, Strategy Games, Windows Phone, Windows Phone 7, Xbox Live. "RTS games are typically turn-based"
I'm sure this is clichéd, but LOL! RTS = Real Time Strategy. If it's turn based, then it's a Turn Based Strategy, or TBS.